It’s been all hands on deck at Hope&Glory this week as we helped to unveil The Macallan’s new multi-million pound distillery up in Speyside – a once-in-a-lifetime opportunity for the team and a landmark moment for Scotland. The new distillery has been five years in the making and is the work of Rogers Stirk Harbour & Partners, the architects behind the Leadenhall Building (the cheese grater) and Heathrow Terminal 5. The striking piece of contemporary architecture is cut into the slope of the land, taking its cues from ancient Scottish hills and maximising the aesthetic beauty of the building whilst minimising the visual impact on the Speyside landscape, which has been classified as an “Area of Great Landscape Value”. The undulating timber roof structure is one of the most complicated timber roof structures in the world, comprising 380,000 individual components. 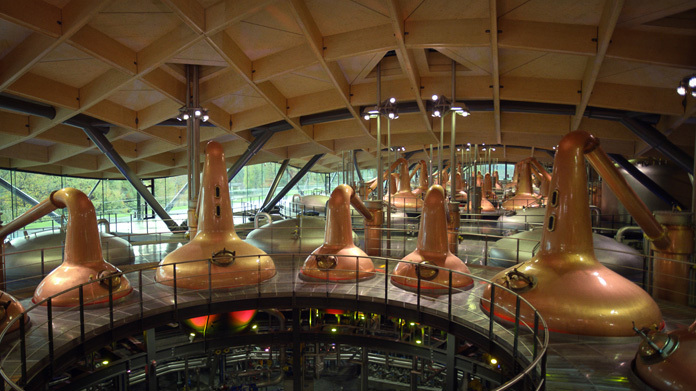 The result is a stunning building befitting the world’s most valuable whisky. The team hosted a small group of media at the distillery back in April, allowing them access to be some of the first people in the world outside of The Macallan to see inside. Following this, we went far and wide with photography, news release and video to land a whole host of coverage once the embargo had lifted. The results was over 200 hits the morning after. Including a half page photography in The Daily Telegraph, print pieces in City A.M., The Financial Times and The I, then online coverage with (to name a few) FT Online, BBC Online, City AM Online, Daily Express Online, Mail Online, The Scotsman Online. Trade coverage through Scotchwhisky.com, Drinks Retailing News and Imbibe. And we’re starting to see a host of trend and lifestyle pieces from the likes of Master of Malt, Conde Nast Traveller, Wallpaper, Designboom, AOL and Forbes.